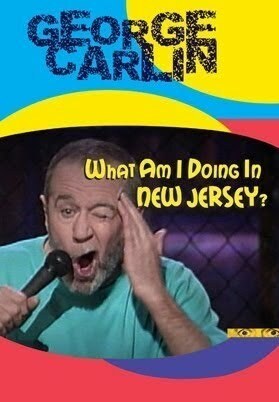 George Carlin's sixth HBO stand-up concert special, "What Am I Doin' in New Jersey," aired as a live broadcast from the Park Theater in Union City, New Jersey. The live performance includes classic routines, "Cars & Driving II," "Reagan's Gang, Church People, and American Values," "People I Can Do Without," and "Keeping People Alert." Robert Altman makes a special guest appearance as a New York City taxi driver hired to take Carlin over the bridge from Manhattan to New Jersey to perform a show.